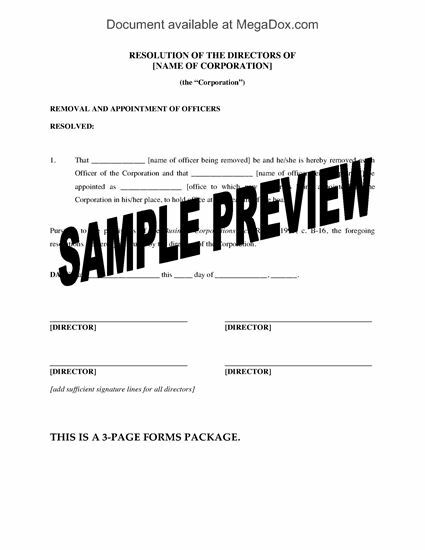 Get corporate approval for the resignation, removal and replacement of a company's officers with this package of template forms for an Ontario corporation. Corporate resolutions to remove an officer and appoint a replacement. Corporate resolutions to accept the resignation of an officer and appoint a replacement. Resignation form, to be signed by the outgoing officer. These Ontario Corporate Documents for Appointing and Removing Officers are provided in MS Word format and are fully editable. Share Transfer and Indemnity Form, to transfer all of the shares of a corporation to a purchaser. The seller indemnifies the buyer and releases the corporation from any claims the seller may have with respect to the seller's involvement with the corporation. A simpler form of Share Transfer, to transfer all or part of a shareholder's shares to another party. 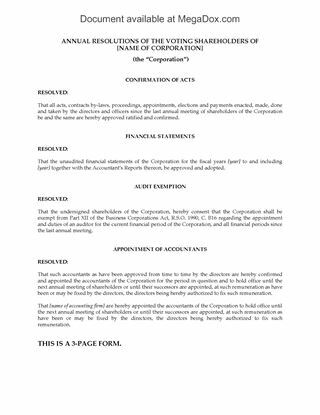 A resolution of the directors of the corporation approving the share transfer. 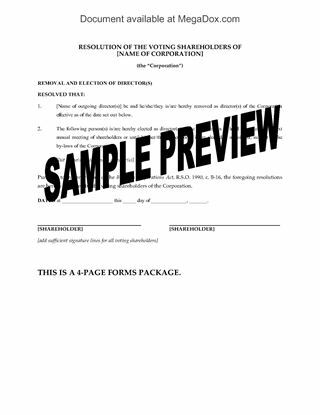 This Ontario Share Transfer and Release Forms Package is available in MS Word format. Give your key personnel an incentive to stay with the company by issuing them stock options. This One-Off Grant of Stock Options template is for Ontario corporations. The grant of option is for a percentage of the participating common shares on a fully diluted basis. Option shares are non-voting, but they otherwise have all the same rights as the other common shares. The option vests fully immediately upon issue of the grant, however, the optionee must be employed by the company to exercise all or any part of the option. Unexercised options expire 90 days after the death of the optionee. The Ontario Key Personnel One-Off Grant of Stock Options template is downloadable and fully editable to fit your business needs.